A Venezuelan air force general became the latest high-ranking military member to renounce his support for socialist dictator Nicolás Maduro, declaring in a video this weekend that he recognized opposition leader Juan Guaidó as the country’s legitimate president. 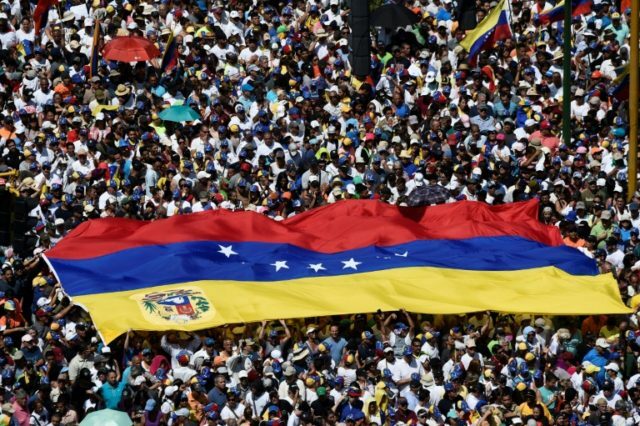 In a video shared by opposition deputy Sergio Contreras, General Yánez Rodríguez announced his support for Guaidó and claimed the Venezuelan military is no longer behind the Maduro regime and would soon lead the country into a transition government. “We reject the announcement made by General Yanez who betrayed his oath of loyalty to our nation and chose to follow foreign plans,” they declared. Yanez’s recognition of Guaidó is the latest in a string of senior military defections, adding to dozens of nations that have announced they no longer see Maduro as the head of the Venezuelan government. Over the weekend, around a dozen mid-ranking military officials also came out in support of Guaidó, calling on their colleagues to do the same. Guaidó echoed their calls during a speech on Sunday, urging military personnel to keep defecting and reminding them that the National Assembly, the federal legislature, passed a law granting amnesty to soldiers who defect from Maduro regardless of the human rights abuses they committed while following orders. Maduro still retains the support of many high-ranking military commanders, nearly all of whom were appointed as a result of their loyalty to Hugo Chávez’s “Bolivarian Revolution.” Most continue to live lavish lifestyles far above that of the average Venezuelan.